Do you ever look at a nail polish in the bottle and just think, "I LOVE that color"? Well, that's exactly how I felt when I first laid eyes on Zoya Shawn. 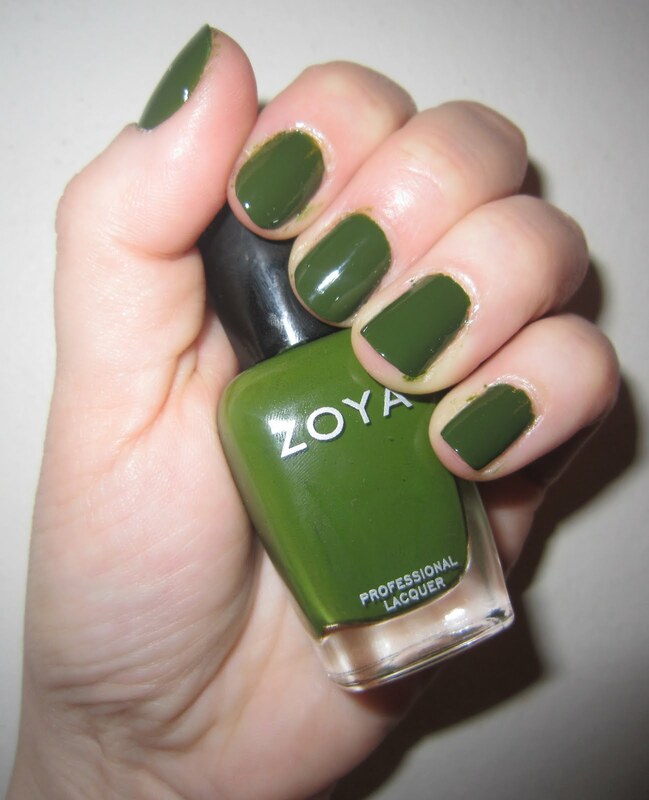 The creamy, gorgeous, mossy olive hue -- which was originally part of Zoya's Wonderful collection -- just immediately spoke to me. I felt like it was calling out to me to be worn! So, naturally, I decided to wear it this week -- and I'm loving it! Oohhhh - I love that color!